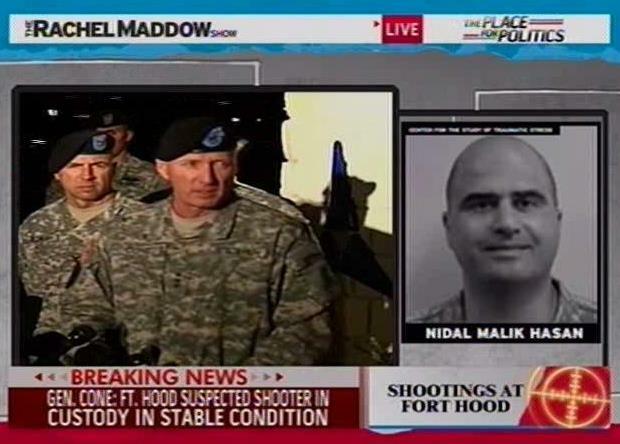 WASHINGTON — A Senate report on the Fort Hood shooting takes a sharp shot at the FBI for failing to share critical information with military about shooter Maj. Nidal Malik Hasan, the Associated Press reported. AP wrote that the report — to be released Thursday — also criticized the Pentagon for failing to make changes to identify potentially violent Islamic extremists. AP wrote that the report noted that the an FBI Joint Terrorism Task Force failed to share information with the military that Hasan’s had repeated contact with U.S.-born radical cleric Anwar al-Awlaki, who was anti-American and encouraged Muslims to kill U.S. troops in Iraq. 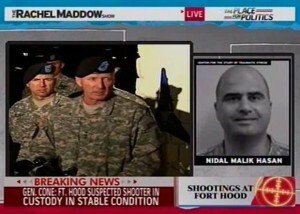 AP reported that the FBI did not share the information because it concluded Hasan was not linked to terrorism. AP reported that FBI has since revised its procedures about notifying the military and plans to increase training for task force members when it comes to searching databases during investigations. The FBI recognizes the value of congressional oversight and agrees with much in the report and many of its recommendations. During the internal FBI review undertaken immediately after the attack at Fort Hood, we identified several of the areas of concern outlined in the report, and, as noted in the report, have implemented changes to our systems and processes to address them. We will review each of the report’s recommendations and adopt them, as appropriate. While concluding that the FBI’s transformation to an intelligence-driven organization remains a work in progress, the report recognizes the FBI’s substantial progress and many successes, led by Joint Terrorism Task Forces, in disrupting terrorist plots by homegrown extremists. In addition, we look forward to the recommendations of Judge William H. Webster, who is conducting an independent, outside review of the FBI’s actions with respect to Fort Hood. Judge Webster and his team are evaluating the corrective actions taken to determine whether they are sufficient and whether there are other policy or procedural steps the FBI should consider to improve its ability to detect and prevent such threats in the future. Posted: 2/3/11 at 10:39 AM under FBI, News Story.